Over time we have become less enamored by Black Friday, and now prefer the Shop Small Saturday events. This year we chose downtown Bonner Springs for our shopping trip, and what we found was truly enjoyable. Those of you not from this area may have never heard of Bonner Springs. Wyandotte County is comprised of three cities, with Kansas City, Kansas being the largest. It is joined by Edwardsville and Bonner Springs, with each having their own flavor. We had seen lots of promos about the shops on Oak Street, which is the main shopping street, and had made our plans for a full day of shopping. Finding a coffee shop that opened early was an added bonus, and allowed us to arrive prior to the shops opening time. The first stop of the day was at Third Space Coffee for some pre-shopping nourishment. We were surprised by the larger than expected size, but it made more sense when we realized it doubles as a breakfast and lunch restaurant. 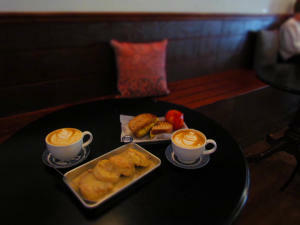 What was originally planned as pastries and coffee turned into a full-blown breakfast with specialty lattes to boot. 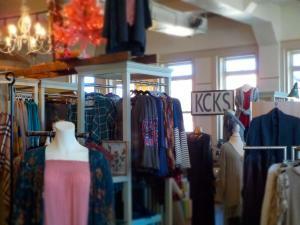 The staff was warm and inviting, even with the increased foot traffic for the shopping event. We decided to sample a couple of their most requested dishes, and ended up splitting them. By the end of our meal, we were stuffed, and ready to head out for some shopping therapy. The downtown merchants were going all out to make this day special, and part of the street had been blocked off from traffic. Coupled with the pop-up vendors tables lining the curb, it felt much like a street festival atmosphere. We made our way down the street reviewing the items being sold by the street vendors. A few small gifts were found, and purchased here, but soon we were ready to start diving into the actual boutique shops. The Oak Street shopping area only occupies a few blocks, but it has plenty to see. Our preference for boutiques usually allows us to find items that are less run-of-the-mill than what is found in the big box stores. On this day we were shopping for ourselves primarily, since this is how we do our Christmas gifts for each other these days. A stop at Side Line Chic offered a chance to pick up some items specific to the area. Regional sports teams are well represented, but we decided to go a little more generic. Crystal picked out a KC shirt, while I grabbed a new ball cap with the same logo. These will work well on our travels, as it will allow us to do a little advertising for our hometown. 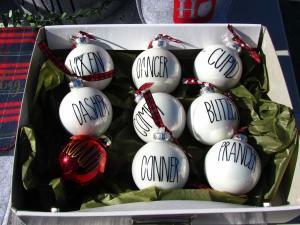 Be sure to stop in to find that special something for the sports fan on your shopping list. Behind the coffee shop we located The Small Hinge, which is a different type of boutique. 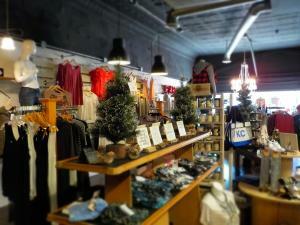 At this shop, part of the proceeds from purchases are donated to Avenue of Life in Kansas City, Kansas. This non-profit is working to reduce homelessness in the city, so we were sure to find plenty to buy at this location. With our bag getting full, we headed toward the next stop. FLIP Kansas City is located on the second floor, but the climb helped burn off some of the morning’s calories. Inside we found tons of designer apparel, which kept Crystal quite busy. The place is also filled with a nice assortment of décor items, so I looked these over with our home office in mind. We ended up visiting every one of the shops on the punch card, as well as some that weren’t. The day was a huge success, as we found lots of great items for each other, including the first piece for our new bedroom design. As we made our way back to our car, we discussed how amazing it was that, so many great boutiques had escaped our discovery for so long. It just goes to show that sometimes the best stuff is right under your own nose.